Pune is a city soaked in centuries of Maratha regimentandconsidered to be the cultural andeducationalcapital of Maharashtra, ranked the number one city in India in the ease of doing business and living ranking index.The city has emerged as a majorhub for information technology parks and engineering and manufacturing industries.LET OUR Iconic 5 Star Ecotel HOTEL, DAZZLE YOU DURING YOUR PUNE VISIT! You'll find The Orchid Hotel Pune an Iconic Structure situated on the Bangalore - Pune - Mumbai Expressway with easy access to the heart of Pune's dynamic central business district, the striking first 5-Star Ecotel Hotel in Pune is only minutes from major corporations, key government institutions, premier Academic and Research institutions. A array of finest shopping, dining and entertainment, all just moments away at Balewadi High Street. We are also within easy reach of popular tourist attractions like the Aga Khan Palace, Shaniwar Wada, making it an ideal destination for business travelers and vacationing families here in India. Our commitment to the comfort of our guests is matched by our dedication to environmental responsibility, which is why we are not just any 5 Star Luxury hotel but a 5 Star Luxury Ecotel Hotel. The Orchid Hotel Pune, the only 5 Star Ecotel Hotel welcomes you with 345 rooms and refined luxury in an Eco-friendly environment with manicured gardens transcending across six acres of flora and fauna where youcan be sure of finding your own tranquil corner within the premises. The elegantly appointed rooms, inspired by traditional architecture, add an old world charm which is perfectly complemented by our warm and caring service. Guests can also enjoy complimentary high speed Internet for up to two devices. An essential part of your Pune experience has to be its varied, yet simple cuisine. Try out ourrestaurants& let our chefs prepare authentic dishes with fresh ingredients sourced in locally. No need to worry about the calories building up, as our state of the artFitnesscenter or a few laps in our leisure hotel'sswimming poolwill help take the guilt away! Alternately, you might like to work up a sweat with a jog along the meter track that meanders through the man made wall of Balewadi Stadium, or enjoy some indoor recreation, with a browse through our mini library, or even a game of pool inThe Bar. Breakfast options are good. Room is clean and amenities provided but found it bit smelly. Friendly staff, property is not Worth The value you pay per night. I was charged extra half day for an early check in, rooms aren't sound proof. The duty manager Priyanka did upgrade me into another room for about 5 hours. Not a very pleasant place to stay. Very good stay enjoyed breakfast. Good for Weekend. Room service. Ambience. And staff behaviour is also good. Good for business work and travel. Quality of amenities like kettle, rooms in deluxe room needs improvements. It was a awesome stay. All service was awesome Great variety of food. Rooms are fantastic for such a price. Staff is really cooperative. Tried paneer dishes in lunch and dinner, not had good taste, restaurant service was not good, I need to go at restaurant reception to call someone to take my order. Breakfast buffet also ok ok. Waffle, idle was bad. 2 night in Pune orchid. Choose it because of proximity to my Pune office. Nice food. Nice people. The The Orchid Hotel, Hinjewadi, Pune, not just the room, needs maintenance. The polish is wearing rather thin at some places, the polish has worn off. Frayed edges of furniture, in the bathroom, in the restaurant. The staff is very nice though. It's inexpensive, therefore value for money. But happy to pay a bit more to see this really nice The Orchid Hotel, Hinjewadi, Pune going down the drain. In short I would say everything over there was just awesome. Be it room size, room amenities, food, staff, location, parking place, Wi-Fi. The The Orchid Hotel, Hinjewadi, Pune staff was very prominent in responding to all queries and support. One of my co-traveller was not well and on asking for in-room complimentary breakfast they did that on spot and without being reminded. Very nice hospitality and would like to stay there again. Had a pleasant, comfortable, memorable, affordable, refreshing stay at The The Orchid Hotel, Hinjewadi, Pune. Pleasing and good staff who attended every services whenever required. Atmosphere was very awesome and lively. Services were outstanding and superb in this The Orchid Hotel, Hinjewadi, Pune. Swimming pool is very good. Really had an cherishing stay at this The Orchid Hotel, Hinjewadi, Pune. The room given to me was good but needs renovation. Partition with in The room should be removed to make it spacious. Restaurants are good The buffet break fast is very well laid and items covered are very good. Nice assistance by The staff in restaurant. However 24 hours room service can have more choice of food. It was a pleasant stay and it was a value for money. Found hair twice in breakfast. Water tap in the basin in two separate rooms did not have warm water and one of them was facing choking issue. Front executives aren't well co-ordinated or updated with stay extension or room transfers. Soap holders are not available in all rooms. Table chairs are not same in all rooms either. Rest of the stay was nice. I frequent this place due to nearby office. Overall the experience has been good except room service which is extremely slow. Stay in the deluxe category in the main building for better rooms. It was a pleasant experience. Room service was extremely slow today and the sandwiches ordered were not up-to the mark. No complaint at all. I recommend this The Orchid Hotel, Hinjewadi, Pune if you have work in Hinjewadi or banner balewadi area. Staff is very polite and helpful. I am delighted to stay in Orchid. This is our second stay in The same The Orchid Hotel, Hinjewadi, Pune. Highly recommended. Good stay other wise, good location and helpful staff. Wash basin did not have warm water and had choking issue, water flow too slow, front desk not well coordinated or updated, saw hair twice inside breakfast. Rest of the stay was fine. I visited there with my friends we book 2 studio rooms. Room is spacious and washroom is good with bathtubs. Swimming is spacious and clean. Morning breakfast has lot of variety. I feel apart from all amenities. Hotel was bit over priced. Recently been to the The Orchid Hotel, Hinjewadi, Pune with my family. 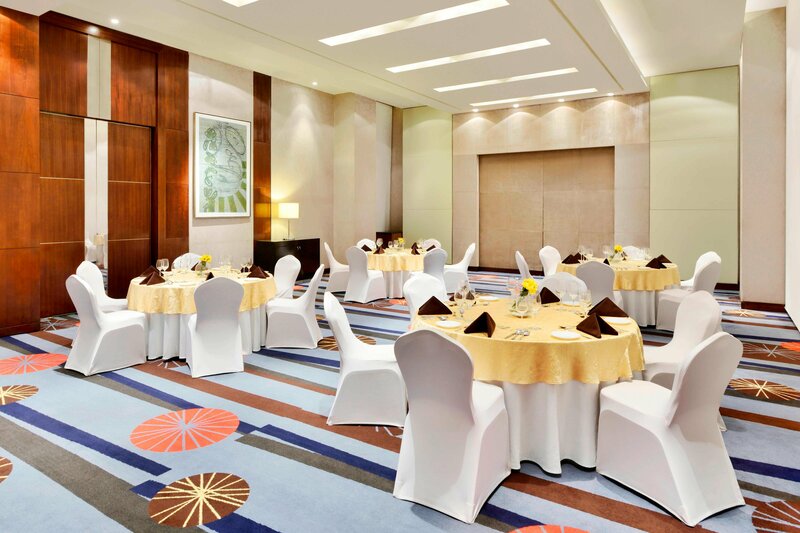 The rooms are spacious and location of the The Orchid Hotel, Hinjewadi, Pune is right on the highway. The rooms were big enough. Breakfast was well spread. In the last 5 months there is a very good improvement in staff behavior and service levels. I room dining quality is good, so is the breakfast spread. There is a visible change for the good in the approach of service persons. Affordable, food is best, traveling for this The Orchid Hotel, Hinjewadi, Pune was good, close to highway. The breakfast was good and so do the stay was good. Nice stay. It's value for money. Nice ambience. Well connectivity. Good rooms, spacious and well maintained. There was no refrigerator inside the room. Overall nice and clean rooms. Good amenities. Value for money. The room was pretty good. The only issue was it wasn't sound proof. Decent place. Especially The old wing is good. The breakfast, dinner and midnight buffet are all nice. Overall a satisfying place. Was there for an overnight stay for an official meeting next day. Staff was cordial and helpful. Stay was good. Food was good. Excellent location and breakfast was good. We were very happy with The helpful attitude of The staff right from reception to housekeeping and restaurant. Prime location. Reasonably affordable for excellent property. Loved The food. Breakfast buffet was good. Very convenient due to its location. Superb experience. Bathroom fittings need repair. Food quantity needs improvement.